If you ever visited our showroom in Belgrade, or seen our space online, you already know we are big plant lovers. Since opening our doors back in 2016, plants were part of our space. In GIR Store we have a 20 years old Ficus Benjamina, 2 big and very green Monstera Deliciosas, 12 Areca Palms and many more small plants from the Sansevieria family. They are everywhere! Plants instantly rejuvenate an indoor space. If you find the right spot for your indoor plants and resist the temptation to water them too much, they are relatively easy to grow. 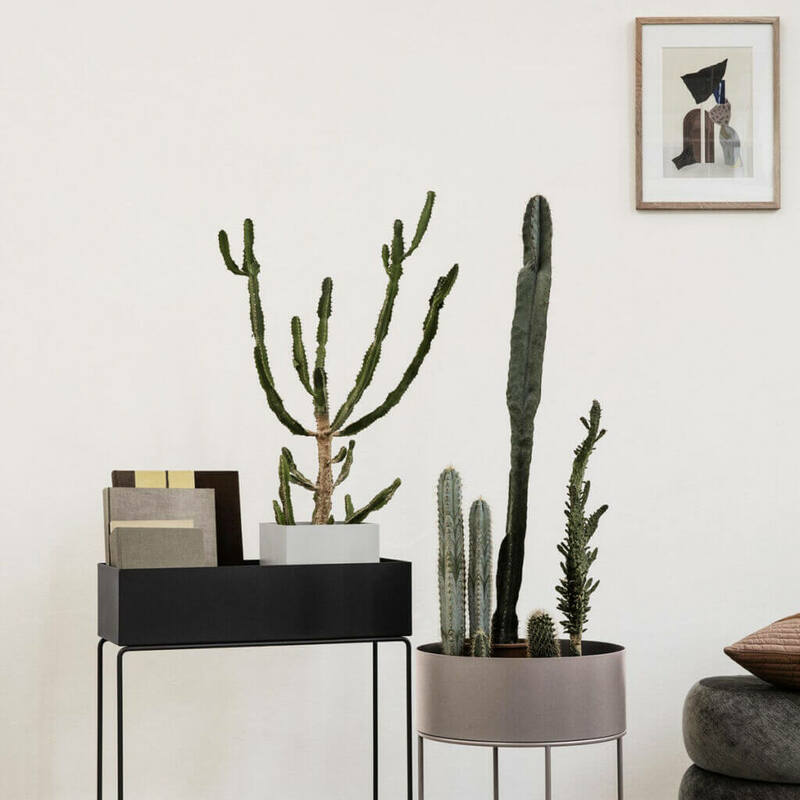 In the following article, we are presenting you a guide through plants of GIR Store (with instructions on how to care them that can come in handy), a list of indoor plants that might be the perfect fit for any beginner, and a carefully curated selection of pots and accessories made just for you. We know everyone is discouraged from time to time when it comes to buying plants because they think the plant is going to die in their care. Taking care of your plants don’t have to be like science – too much water – too little water – direct or indirect sunlight, the confusion is normal if you are a beginner. 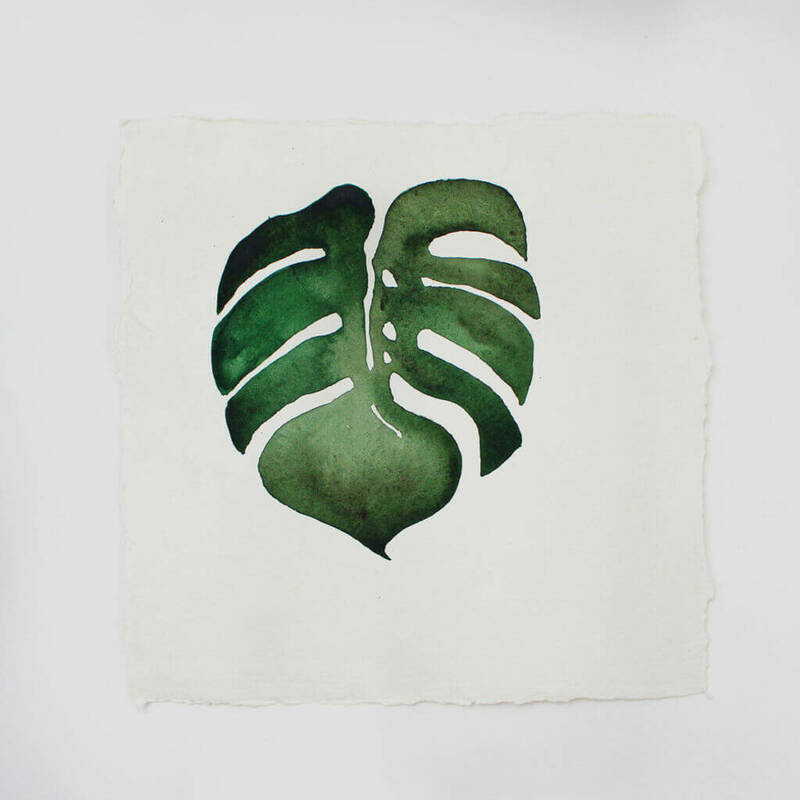 For every plant, there is a plant lover who is a perfect fit! Like humans, plants are different, some species need a lot of water, sun, and care, some you have to water every few months and like shady places, some you can even forget you have in the home. Before buying plants, you should look up what kind of care it needs and see if that’s your perfect fit. (or you can ask someone at the garden center). 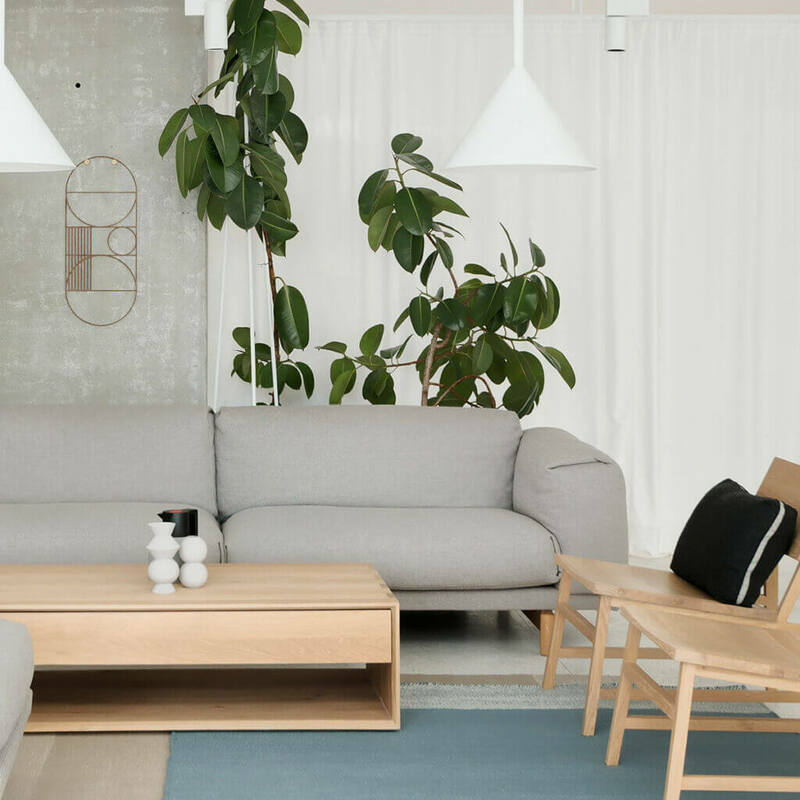 For the best chance of growing success, take note of the different spaces in your home, their aspect and the amount of light they receive each day. Then when you visit your local nursery, look for plants that suit your lighting conditions. Gardening tip 101: Avoid placing your plant next to a heat source (like a radiator) or in cold/windy spots. Brutal temperature variations and humidity is something any plant would not take easily. Creating a stable environment with no or little changes is the key to growing a happy and healthy plant. Ficus Benjamina (Weeping Fig Tree) Ficus Benjamina is an evergreen tree/or a shrub, associated with the mulberry family (Moraceae). The plant originates from the tropical belt, mainly in India, China, Malaysia. As we previously said, Ficus Benjamina is pretty much tied to their place, so if you can avoid changing its place, you should. Sometimes, when you’re moving that can’t be avoided – in that case, all you need is a little patience. After a few weeks, the ficus tree will be adjusted to the new place and will balance again the leaf loss. Nonverbally and yet unmistakably your Benjamina will tell you when it does not feel well. Place your Benjamin tree to a sunny location with gentle sunshine (it does not have a problem being on the summer balcony, as long as it is gradually accustomed to the direct sunlight). Draft makes the leaves fall because this plant is very sensitive to cold. Water the ficus Benjamina when the upper layer of ground is dry. Depending on the season and pot size up to two weeks may pass, but spray it every few days with soft water. A can of room temperature water is good as the roots are sensitive to cold. 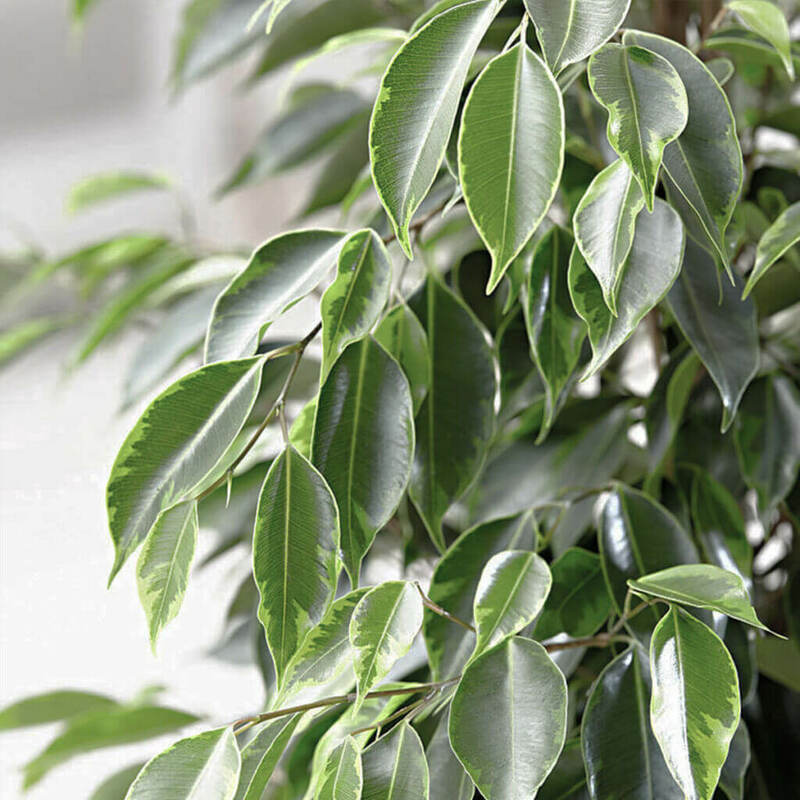 Things to keep in mind: Every part of Ficus Benjamina is poisonous if ingested so if you have small children or pets, you might want to keep it out of their reach. Schefflera arboricola (Umbrella Tree) Schefflera is a very popular tree as it doesn’t require much care. Under optimal conditions, this plant can reach a height up to 4m. 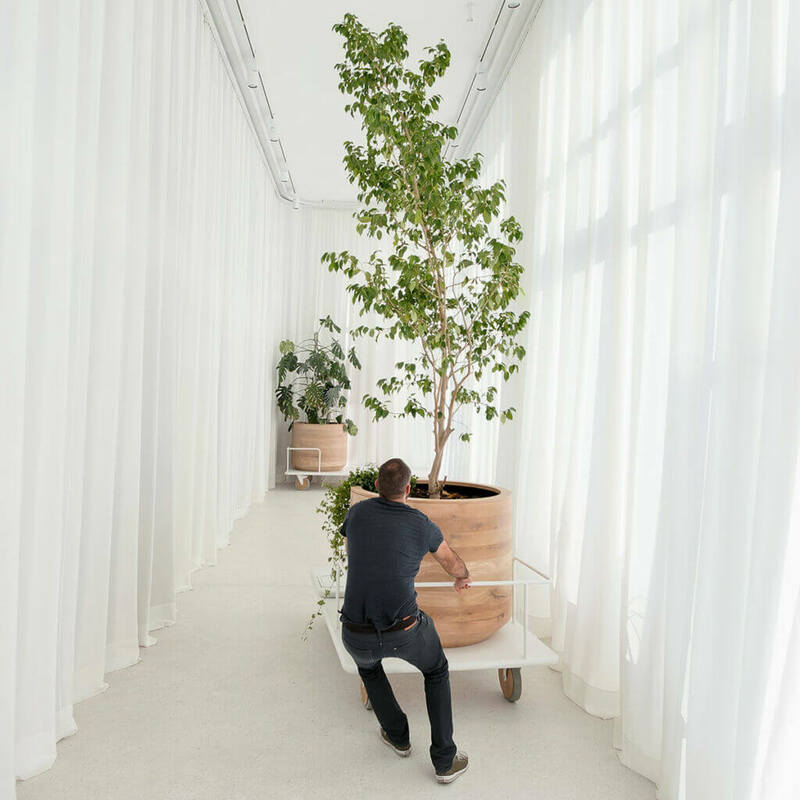 The plant practically functions as a natural room freshener. Originally from Taiwan and Hainan, the plant produces colorful red flowers in its natural habitat. When kept in the living room, it normally does not flower. If you want your plant to keep growing in height, you should re-pot every season and trim the roots to boost its growth. Growing this plant is quite easy if you pay attention to a couple of things. 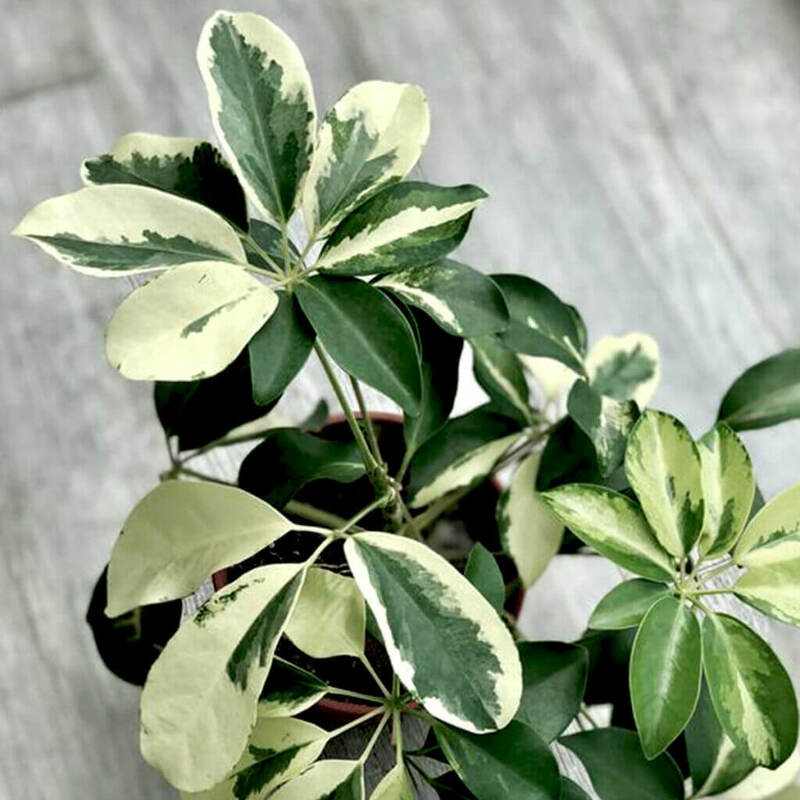 The best place for Schefflera plant is light to semi-shaded place. Like many other plants, this plant is really sensitive to draft, and exposure to direct sun should be avoided. Schefflera plants don’t like it too dry or too wet. During the growing season (from April to September) pour moderately until the first drop run out of the drain holes and then after few minutes remove the water from the coaster. Spray the plant frequently if the air in your apartment/home is too dry. When watering and spraying you should use lukewarm water. Need a pot? 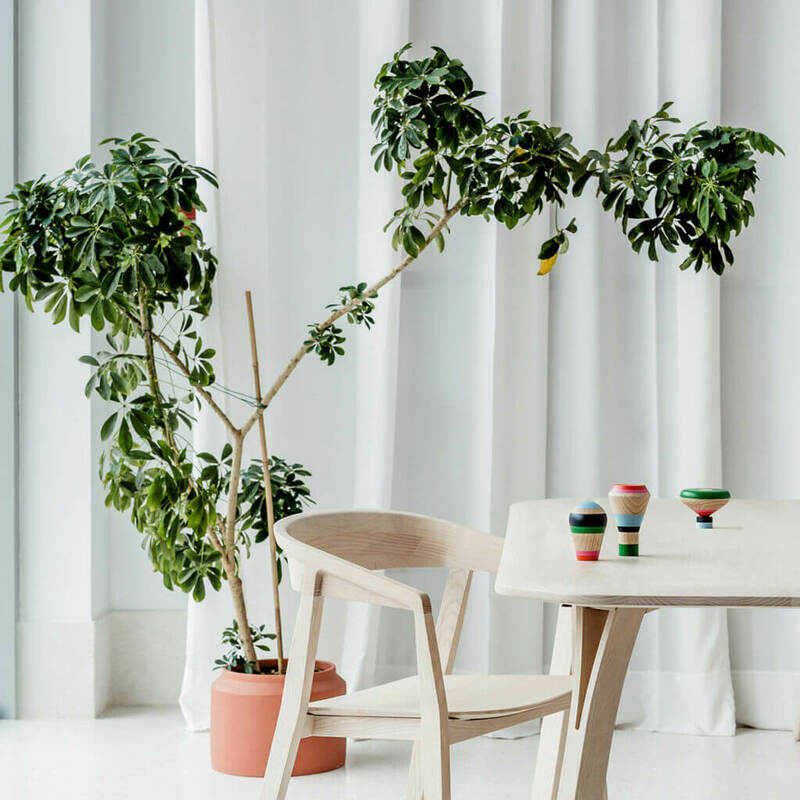 Our Schefflera plant looks great in ferm LIVING Concrete Pot. Monstera Deliciosa (Swiss Cheese Vine) Monstera plant is often called Swiss Cheese Vine because of the holes in its delicate leaves. It looks best either in a hanging planter or in a pot studded with something for it to climb.Monstera is a tropical plant from the Araceae family. Its name and nickname may not be so catchy but it comes from the Latin meaning “abnormal” because of its odd-looking, perforated leaves. 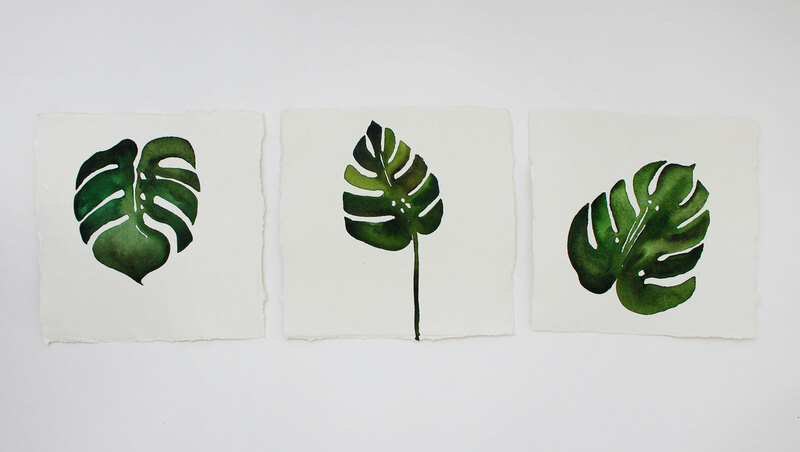 It’s extremely common for Monstera plants to be confused with split-leaf philodendron, particularly in less mature plants and though the two are related – an easy way to tell these plants apart is to look at the leaves: split-leaf philodendrons have perforated leaves but don’t have holes. Scientists have tried to explain the holes in Monstera leaves: the perforation maximizes the leaf’s surface area and bigger leaves with holes can capture more sunlight on the rainforest floor. Monsteras need a lot of space. 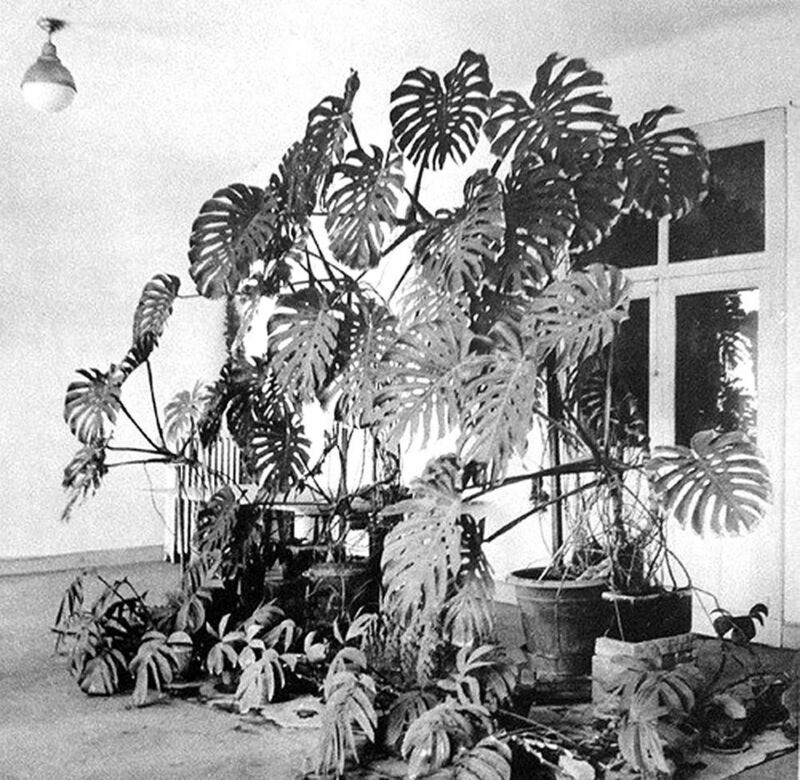 They are by nature a statement-making plant and require to be put in a central spot of the room, rather than in a tight corner. They can grow up on trees and other plants in their natural habitat (rainforest), and this is why is extremely important to give them some support. You can use a bamboo pole, or a small trellis depending on the size. 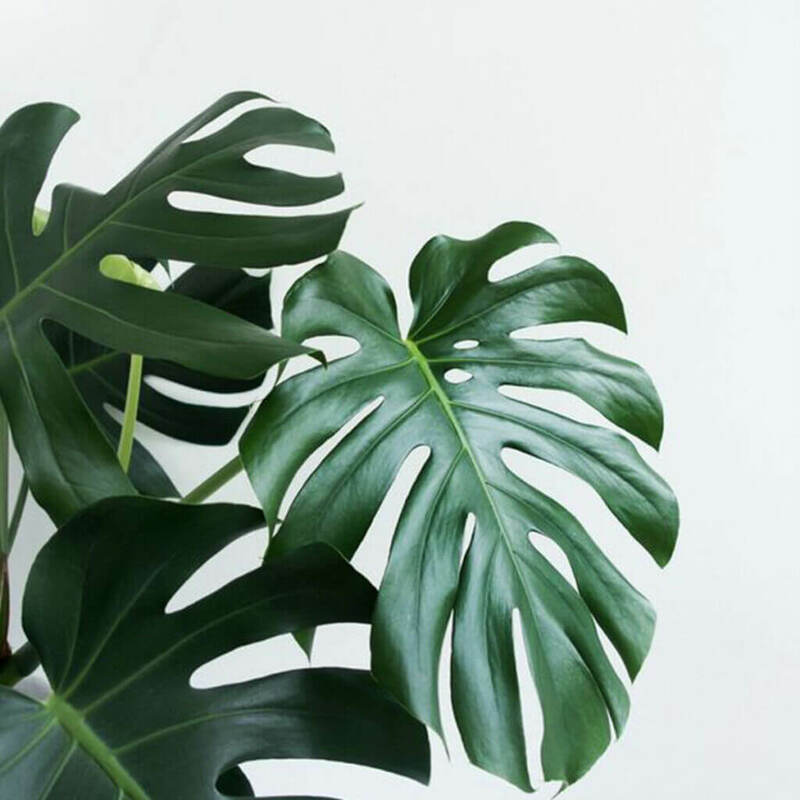 Find a balance between sun and shade when placing your Monstera Deliciosa. If it has too much sun, the leaves will go yellow. Water your plant moderately and evenly, about once a week, when the soil is fairly dry. Keep it in a humid environment. 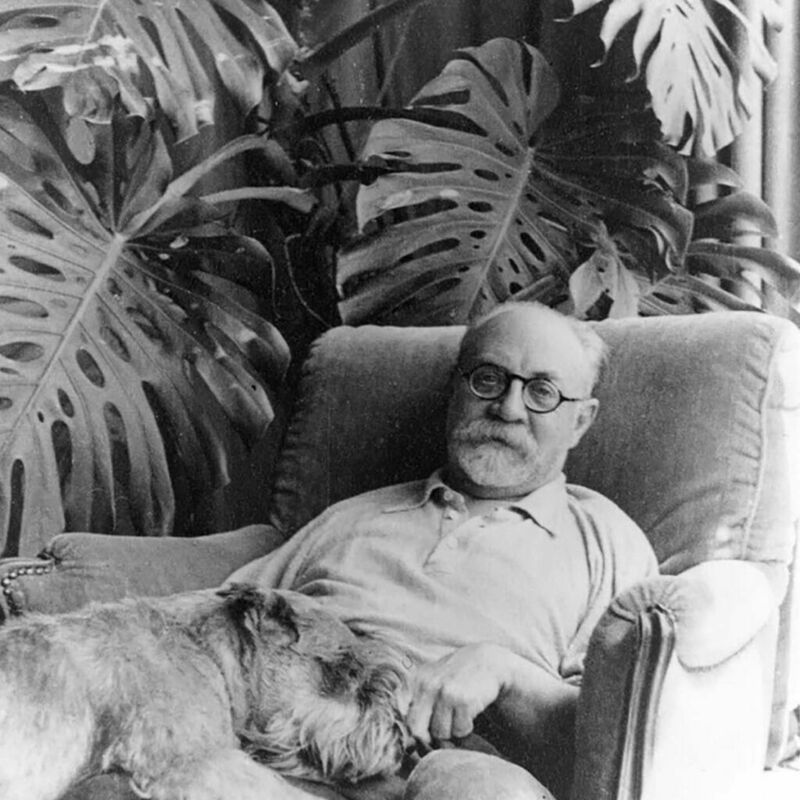 Fun fact: If you are a fan of Henri Matisse‘s work it might be interesting to mention that his favorite plant was a Monstera Deliciosa, and he kept one very big specimen in his studio Regina in Nice. Rubber Fig (Ficus Elastica) Rubber Fig or known as Ficus elastica, can be grown as a medium-sized house plant or as a big grown tree which can grow to impressive heights. If you decide to keep it small, a smaller pot will restrict their growth. 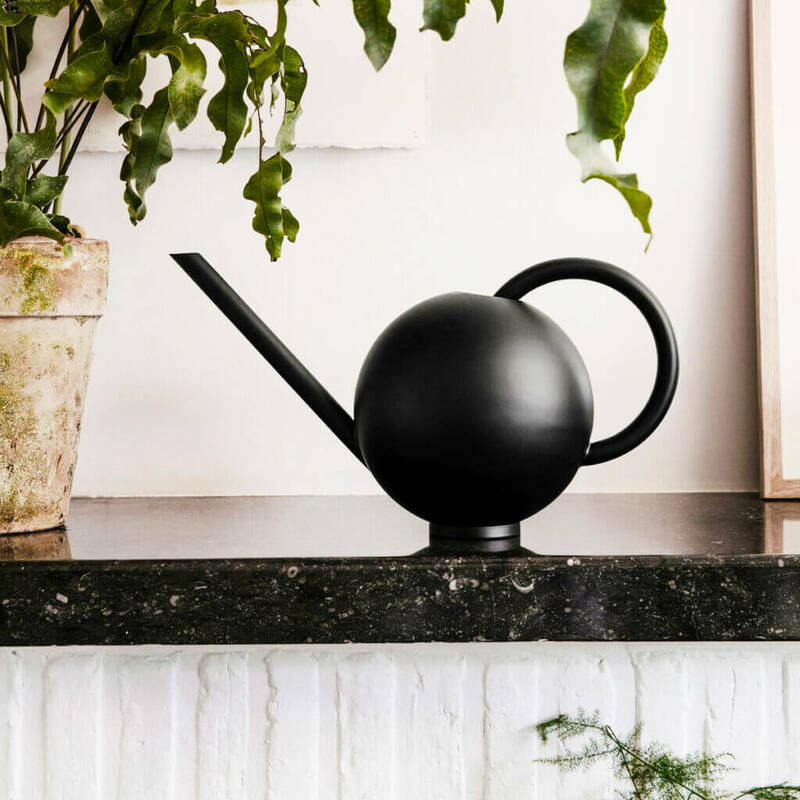 The rubber plant prefers being placed in a brightly lit room with no direct light (although it won’t mind a few hours in the morning or afternoon sun). Plants lovers often say a Rubber Fig is a true Serbian plant because it really doesn’t like draft. 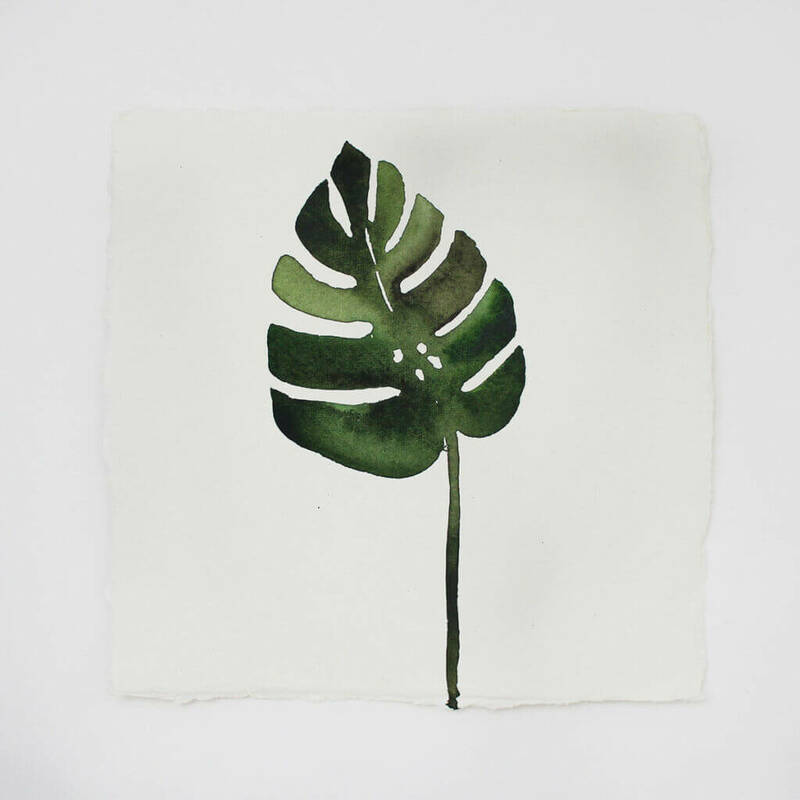 Place them in bright indirect sunlight and be sure to wipe their leaves with a damp cloth to get rid of any dust. 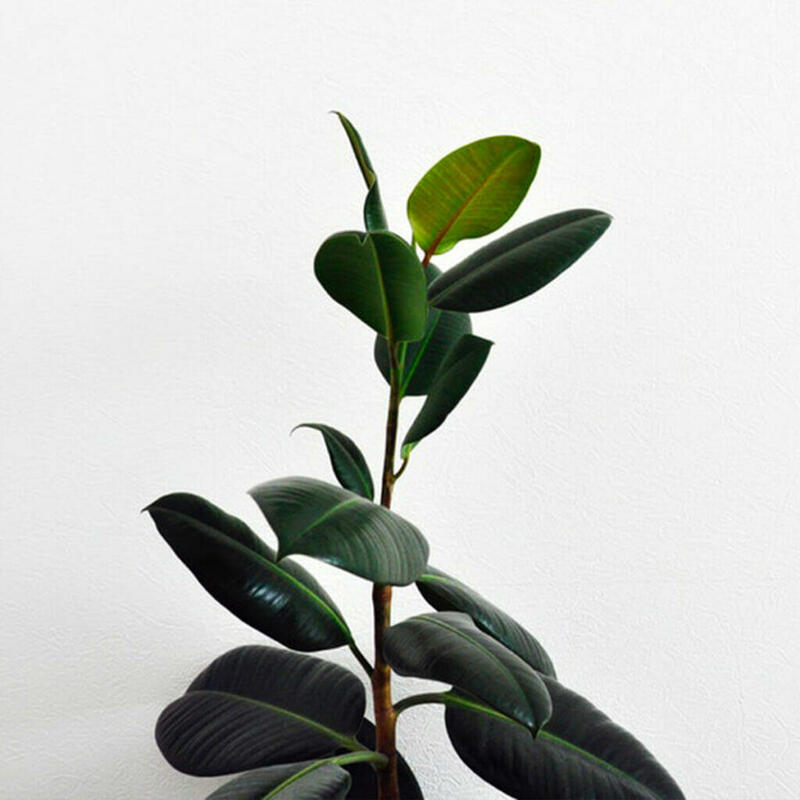 Water your rubber plant moderately in the spring and summer about once every 5 – 7 days and once every 10 – 14 days in the autumn and winter. A sign you might be overwatering your plant is the leaves turning yellow and falling off significantly. Water the plant with lukewarm water. Things to keep in mind: Leaves of a Rubber Fig are poisonous if ingested, so if you have small kids or pets it’s advised to keep it out of their reach. Need a pot? 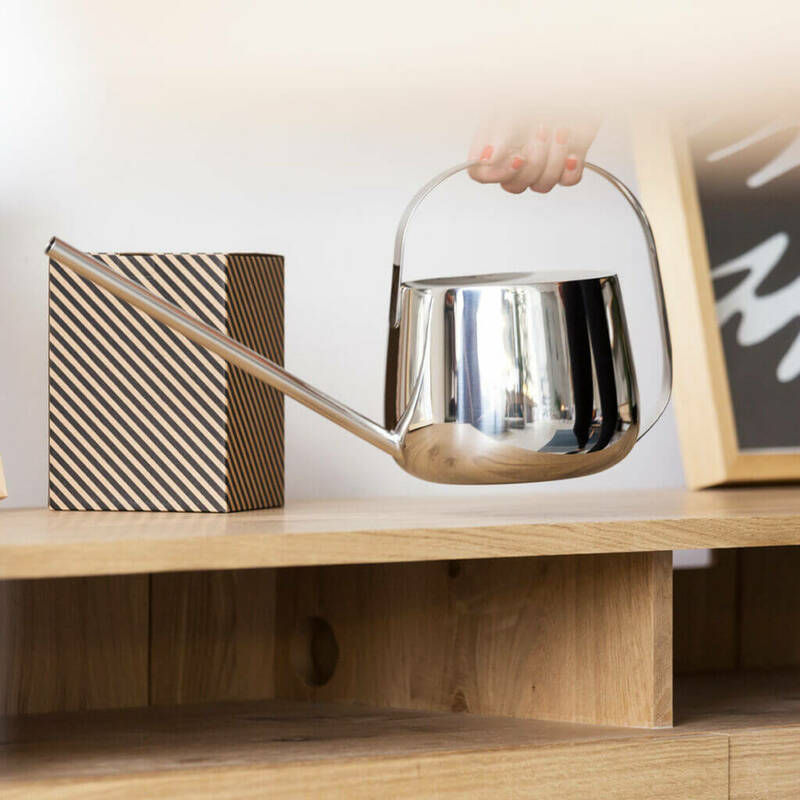 Rubber Fig fit great in a Bau Pot by ferm LIVING. Air pollution is a problem in the world today. That’s why NASA researchers set out to find the best ways to clean the air. 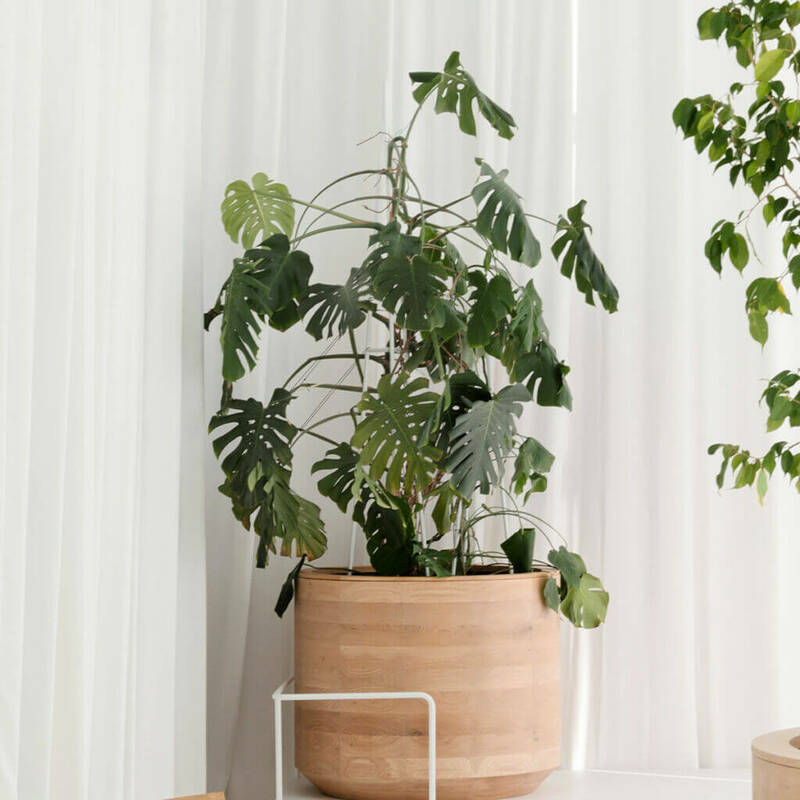 Their Clean Air study found the plants above are effective at removing benzene, formaldehyde, and trichloroethylene, xylene, and ammonia from the air—chemicals that have been linked to health effects like headaches and eye irritation. 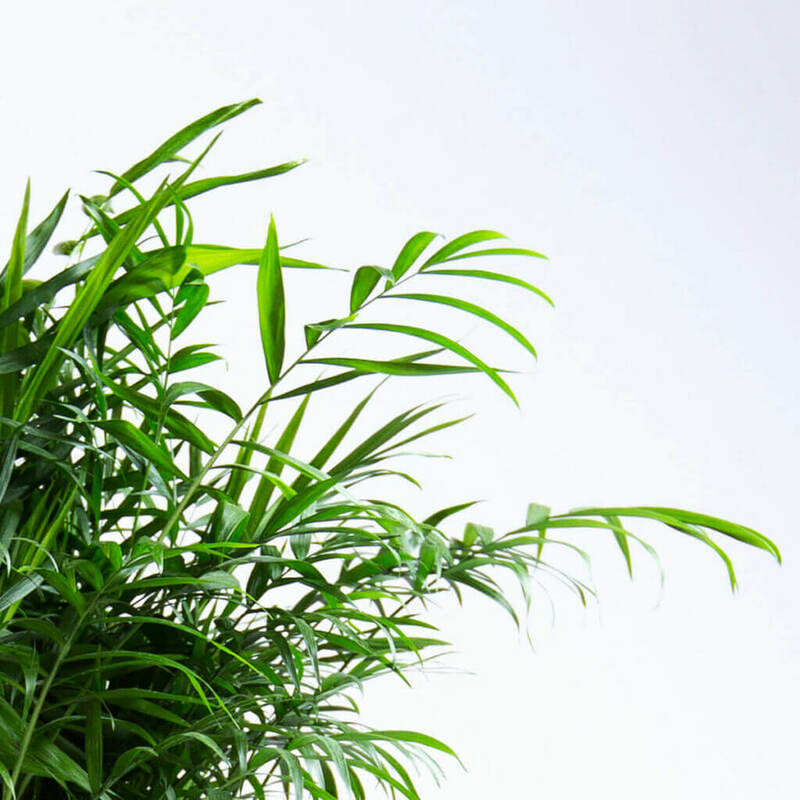 Areca palm (Chrysalidocarpus lutescens) At GIR Store we have about 12 Areca palms, and they are one of the most widely used palms for bright interiors – as these big bold plants need attention. If you have a small specimen, it’s good to know that they add 6 to 10 inches of growth per year, until they are about 6 – 7 feet. They can sustain trimming without serious harm. The key factor when it comes to these plants is the right amount of light. These palms need bright, indirect light from the south or west-facing window. Otherwise, the plants will turn yellowish-green. 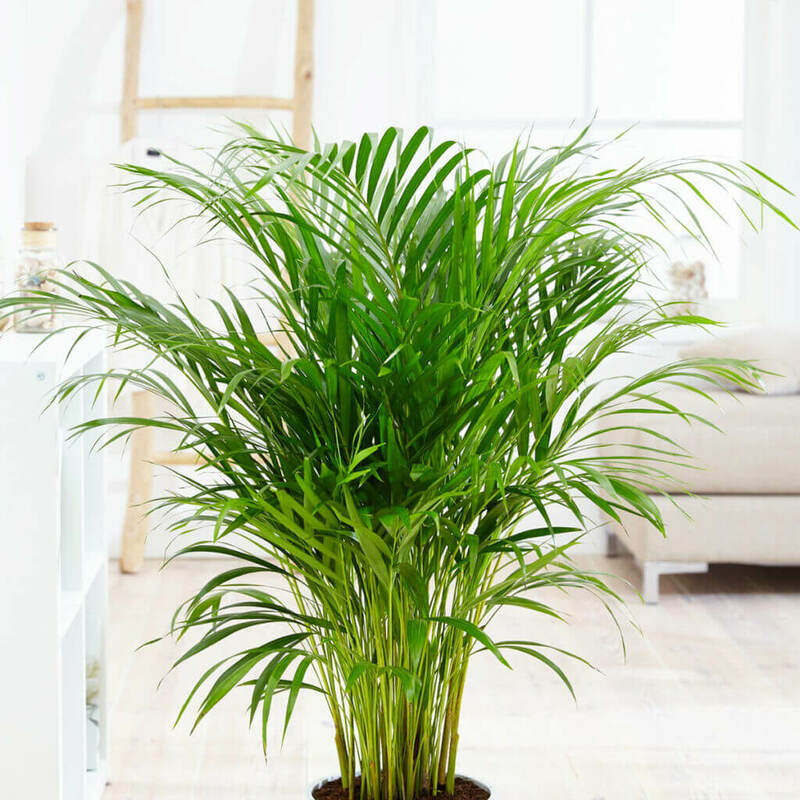 Growing areca palm trees indoors will be well worth the trip because of its beautiful lush foliage that brightens up the home. Water the plants often enough to keep the soil lightly moist in spring and summer, and allow the soil to dry slightly between waterings in fall and winter. Repotting is recommended every two to three years. Areca palms like tight containers, but it doesn’t mean you don’t need to re-pot it. When re-potting it’s crucial to place it in a new pot in the same height as it was before. Planting it too deeply can cause serious injury. Need a pot? Areca Palms would look great in ferm LIVING plant boxes. 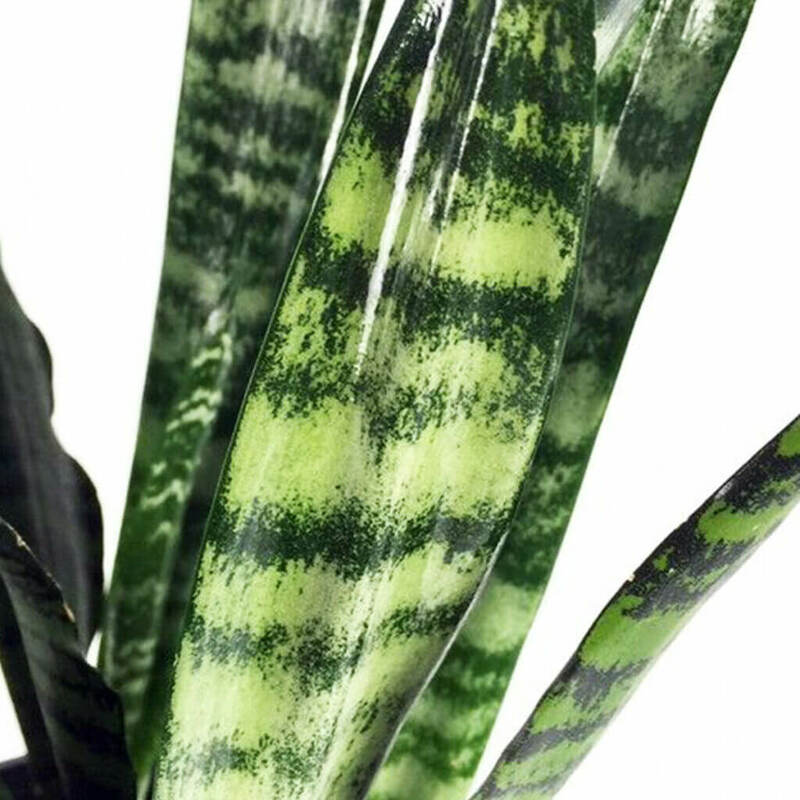 Sansevieria family (Sansevieria hyacinthoides) If you are a beginner plant lover, but would love to give it a try, then we recommend choosing a plant from the Sanseveria family. This genus has about 70 species of flowering plants, native to Africa, Madagascar, and Southern Asia. Common names include mother-in-law’s tongue, devil’s tongue, jinn’s tongue, bowstring hemp, snake plant, and snake tongue. If you google “Sansevieria” you will see that this is commonly referred to as a plant that’s almost impossible to kill. If unfortunately, it happened to you – it’s because you overwatered/underwatered them. Follow the instructions below carefully and you will have a healthy plant. The easiest way to check the moisture in the soil is to use a toothpick or some kind of small wooden objects that you can stick in the soil and check if the upper layers are wet. Sansevierias are evergreen plants without blossoms. They prefer half-shady places that don’t have direct sunlight (otherwise under direct sun their leaves might burn). So place them anywhere in your apartment where you don’t have direct sunlight and they will be fine. (We even managed to keep on alive and healthy in our bathroom because they are good with humidity). When watering your sansevierias be sure to keep the leaves dry when watering, and allow the soil to dry in between waterings. Reduce watering down to one a month during the winter. Things to keep in mind: Sansevierias are mildly toxic when ingested and they can cause mouth and stomach irritation so if you have small children or pets it’s advised to keep it out of their reach. 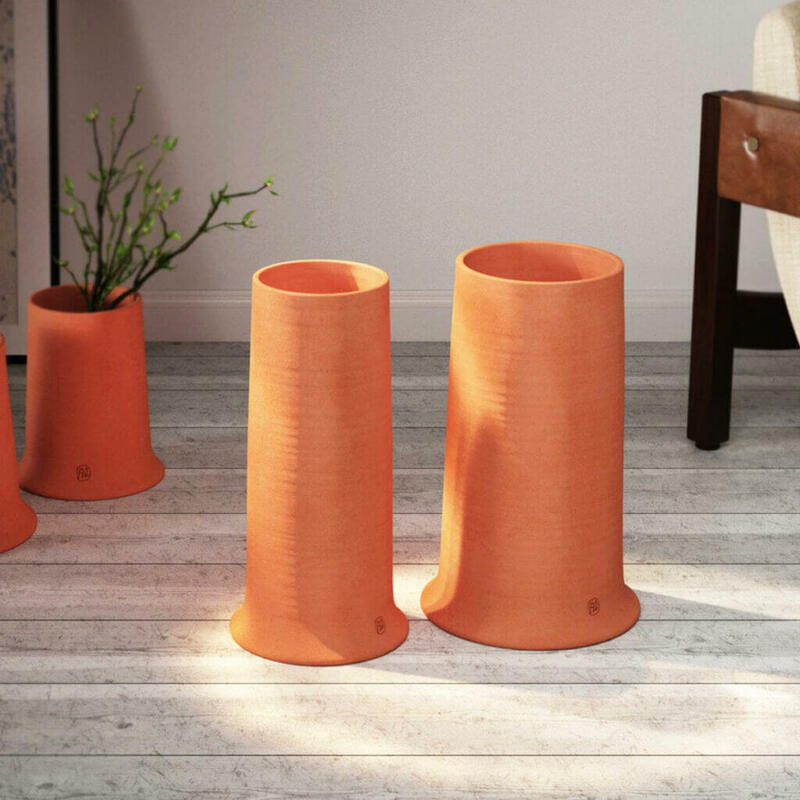 As an example, you can elevate them with Plant boxes by ferm LIVING or use Ligne Roset Flower terra cotta pots which will ensure that your small children or pets would not be tempted to reach for them. Plantspiration Everyone should live with a little more green in their homes, and we have a strong relationship with plants in our store. 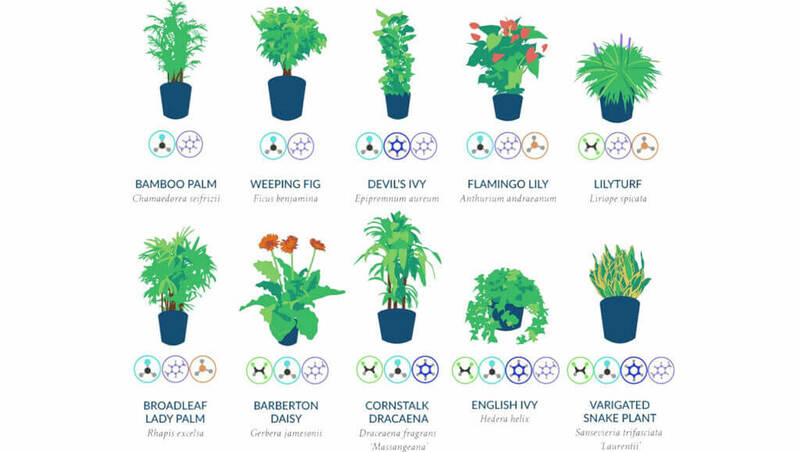 Plants make life better and we tried to make choosing the right plants for you easy. 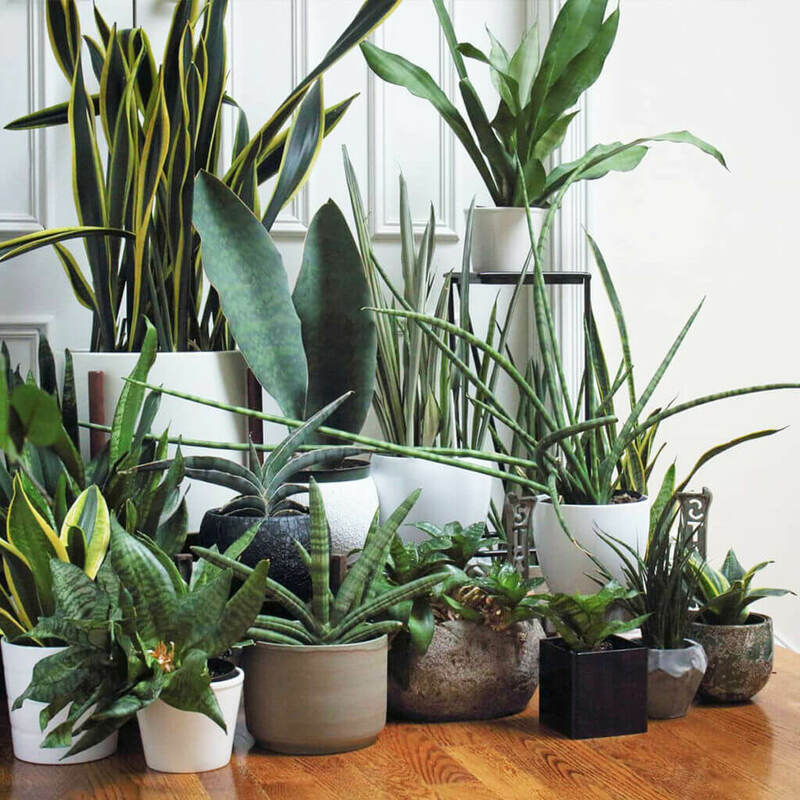 If you have more questions about plant care we recommend visiting The House Plant Journal. (Darryl Chenghas an engineer’s approach to plant care and has answered hundreds of questions about plants so far). When you are re-potting your plants on a sunny morning, we can also recommend this album Mort Garson “Mother Earth’s Plantasia” from 1976 as the album is dedicated to the gestation of plants – “warm earth music for plants and the people who love them”.